Christian (Claes Bang), a successful contemporary art museum curator, goes to great lengths to recover his stolen wallet and cell phone when he’s the victim of a pickpocket incident in the unusual new Swedish satire, “The Square.” Photo courtesy of Magnolia Pictures. 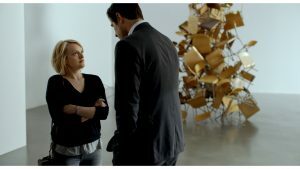 Christian (Claes Bang, right), a successful contemporary art museum curator, wrestles with the unpredictable rants of Anne (Elisabeth Moss, left), a would-be romantic interest, in director Ruben Östlund’s latest offering, “The Square.” Photo courtesy of Magnolia Pictures. Performance artist Oleg (Terry Notary, standing) gets carried away with his antics at a banquet for museum patrons in the unusual new Swedish satire, “The Square.” Photo courtesy of Magnolia Pictures. 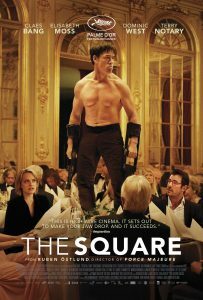 As with director Ruben Östlund’s other films (such as “Force Majeure” (2014)), “The Square” is a picture with a lot to say, a quality that won it the Palme d’Or at this year’s Cannes Film Festival, the event’s highest honor.  Its attempts at covering so much ground are indeed laudable, especially in the highly innovative ways it addresses its material. Yet, despite such an ambitious approach, the film doesn’t always convey its ideas as well as it could. In its moments of inspired clarity, the director absolutely knocks it out of the park with inventive, riveting humor – big, hilarious satirical episodes that arise organically and pointedly impart significant social insights. 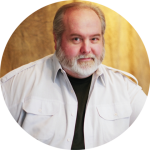 However, this strength notwithstanding, sometimes it takes the filmmaker a little too long to get the audience from laugh to laugh, a problem that could have been resolved with some judicious editing. 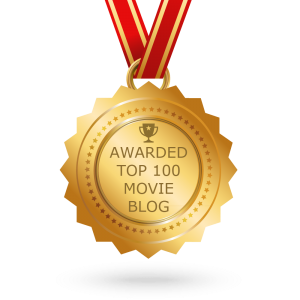 Nevertheless, if you’re able to sift through the flotsam to find the picture’s kernels of wisdom, you’ll be richly rewarded with an unusual and memorable movie experience.